Имате въпрос към OYO 14197 Curlies Zulu Land Cottages? OYO 14197 Curlies Zulu Land Cottages, located in the Anjuna area, is a popular choice for travelers. From here, guests can make the most of all that the lively city has to offer. With its convenient location, the property offers easy access to the city's must-see destinations. At OYO 14197 Curlies Zulu Land Cottages, the excellent service and superior facilities make for an unforgettable stay. The property provides free Wi-Fi in all rooms, 24-hour room service, daily housekeeping, 24-hour front desk, room service to ensure the greatest comfort. All guestrooms feature a variety of comforts. Many even provide mirror, towels, internet access – wireless, fan, internet access – wireless (complimentary) to please the most discerning guest. The property's host of recreational offerings ensures you have plenty to do during your stay. 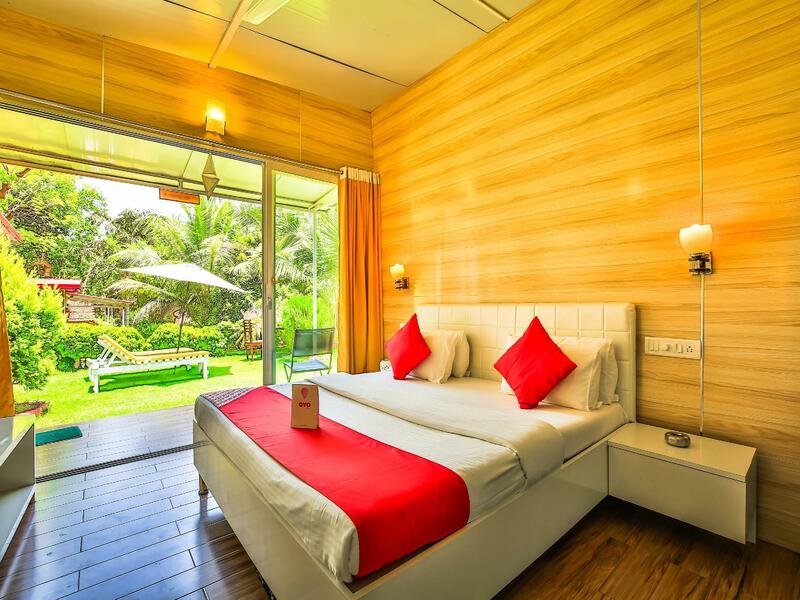 OYO 14197 Curlies Zulu Land Cottages is an ideal place of stay for travelers seeking charm, comfort, and convenience in Goa. Very awful staff behaviour. Rooms are very unclean. The water from bathroom flows into the beadroom so be careful not to keep any of you luggage on the floor. The staff did not return my Govt. Photo ID upon check out. And I also forgot ABT it. Later the after calling them and request ing them to courier my ID to my address, they have been avoiding my calls and blocking my number. Please avoid this place at all costs.